This border set is packed with my favourites just for you! 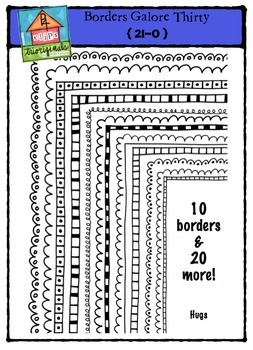 A great selection to get you started if you have just begun your tpt journey or a fabulous addition to a border collection you already have on the go! This clip art set includes 60 images. There are 30 borders with white inside and 30 borders that are clear inside.